Alison Bunting received her library degree from the University of California, Los Angeles in 1970, where she began her involvement with the Louise Darling Biomedical Library as a cataloging student assistant. Among the things that impressed her about the profession of health sciences librarianship was “that there was a National Library of Medicine that was really focused externally on serving the health professionals in the country…” Her first professional position was as interlibrary loan and reference librarian at the Biomedical Library. “Biomed was an incredibly exciting place, and a lot of that was due to Louise Darling and her mission.” She continued her career there in a series of positions at the library, including head of interlibrary loan (which offered her supervision experience), head of Consulting and Training Services with the Pacific Southwest Regional Medical Library Service (where she “learned a great deal about the different environments in which health sciences librarians operate”), associate biomedical librarian for public services, acting director, and then director of the library and the RML from 1984 until her retirement in 2002. In addition, Alison served as associate university librarian for sciences from 1991-2002 and delayed her retirement to serve as interim university librarian in 2002. Asked what contributions to and influences on the library made her proudest, Alison pointed to helping the library and its staff “evolve and take advantage of new technology to deliver better services to users.” Other accomplishments were maintaining the “spirit of cooperation and innovation” in the RML region, close collaboration between the library and the health schools, and fundraising for collection endowments. I often described to people that I loved the fact that I could spend the morning dealing with technological issues and then plunge back into the history of medicine in the evening. The richness and variety of the activities of the Biomedical Library were always very exciting. As director, Alison had a “collaborative, open-door style,” seeking input and getting staff “involved and moving along in the same direction.” She also welcomed change. [T]hat is an important characteristic that I look for… That’s one of the interview questions that I always ask… [O]ur environment is always changing and we need to be able to adapt to it, take advantage of it and continue to remain viable in our profession. 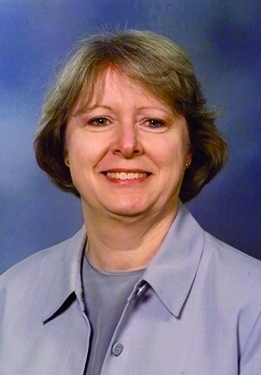 Within the Medical Library Association, Alison was on the Board of Directors from 1982-1985, chaired the Continuing Education Committee and the National Program Committee, and was elected to the Nominating Committee three times. She served on the joint AAHSLD/MLA Task Force to Develop Guidelines for Academic Health Sciences Libraries. She wrote a history of the Regional Medical Library Program, published as a supplement of the BMLA, that is the definitive history of the network. “I wrote it primarily because I had been involved in the early network and [for] new people [who] started to join staffs of RMLs… [to enable them] to learn from those early historical experiences.” She received both the Librarians Association of the University of California Research Award and the MLA President’s Award for the history. She was also active in other professional organizations. She served as president of the Medical Library Group of Southern California and Arizona Chapter and of the Librarians Association of the University of California, Los Angeles Chapter. 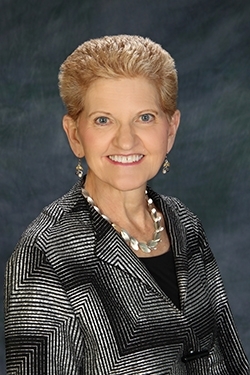 Her support for the Association of Academic Health Sciences Library Directors included serving as president, 1990-1991, as chair of the Finance Committee, the Program Committee, and the Search Committee for the Annual Statistics Editor, and on the Board of Directors from 1986-1989. She was a representative on the Council of Academic Societies of the Association of American Medical Colleges. 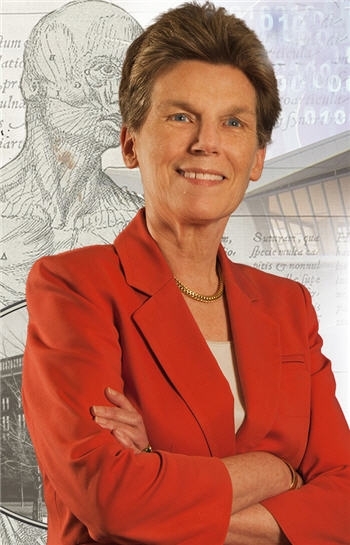 She was involved with the National Library of Medicine as chair of the Board of Regents in 2002-2003, chair of the Biomedical Library Review Committee, 1996-1997, and as a consultant for the Planning Panel on Outreach Programs, the Planning Panel on Building and Organizing the Library’s Collection, and the Long-Range Planning Panel on the Education and Training of Health Sciences Librarians. Alison was named senior fellow of the UCLA Graduate School of Library and Information Science in 1989. She was elected a fellow of the Medical Library Association in 1998, and, in 2001, she received MLA’s highest honor, the Marcia C. Noyes Award.